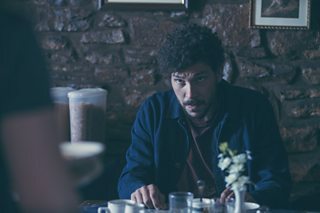 Kris Mrksa is an Australian screenwriter whose latest drama, Requiem, is currently going out on BBC One on Fridays at 9pm. We caught up with Kris to ask him about his career to date and any advice he can share. Did you have a moment when you decided ‘I want to be a writer’? What inspired you to get into screenwriting? Were there particular TV shows, films or books when you were growing up that kicked off your desire to write? I think I always wanted to write, but I certainly never imagined that it would be TV scripts. Novels, short stories, maybe even poetry... who knows? I was an earnest and self-important teenager, so writing something earnest and important was what I imagined. In my late teens I became a big film buff, and my focus started to shift toward cinema. My sensibility was very much formed watching old movies on late night TV. In Australia, there was one TV network that would screen old films all night, very often films from the 1960s and early 70s. I loved anything from that period. The weirder and trippier the better. As far as TV writing goes, there were three shows that changed the way I saw TV, and what was possible on TV. Twin Peaks, The Larry Sanders Show, and Lars Von Trier's Kingdom. In their different ways, they all stretched the boundaries of what TV could be. I am still in awe of them all. When was the first time you thought ‘I can do this for a career’? What was your first paid writing work? I did a bit of copywriting, which strictly speaking was the first time I was paid to write. I was absolutely shocking at it! The first time I was paid to write a screenplay was through a grant, given by an Australian government agency to new and emerging writers. I owe a lot to that grant, since it made me take the whole thing seriously. Made me think, maybe there could be a living in doing this. Otherwise, I doubt I would have ever taken the plunge. Did you have any setbacks getting to that point and how did you deal with those? The big setbacks came latter, after I started working as a screenwriter. The biggest one relates to a series that I'd developed for the ABC, a sitcom about two slackers sharing an apartment in a post apocalyptic, zombie infested world. We had the whole thing written, all eight episodes, and were even doing read-throughs with provisional cast. Then the executive who'd developed it left the ABC, and we were put on hold. We waited nearly a year, in which time Shaun of the Dead came out. Understandably, my series got killed off, because it was essentially the same story. That one still hurts. What were the opportunities like for a new writer in Australia? How do you think it compares with the UK? Getting started - getting your first produced script - is always the hardest thing, and that's true everywhere, I think. The Australian industry is a lot smaller than the UK, but then there are also fewer writers competing for the available work. So maybe it evens out. When I started there was a fair bit of work available, but the range of what was being produced was extremely limited. Australian networks at that time had a very narrow idea about what would rate, and they didn't take many chances. Certainly the UK industry seems a lot more adventurous, and ambitious. You were one of the writers who adapted ‘The Slap’ for TV. How did you get involved with that project, was it a particularly rewarding experience and did it change things for you? The Slap was a brilliant experience, and yes, it did raise my profile, both in Australia and internationally. I had heard that the book was being adapted, as my wife used to work in publishing, and still had contacts. So I did hope to be involved. And in the end I was contacted by the producers, as they knew my work on other shows. We met for coffee, hit it off brilliantly, and that was it. What was your first authored series and how did that compare to writing on existing shows? I did a 2 x 90 minute miniseries called Devil's Dust, an Erin Brockovich-style factual drama about an Australian anti-asbestos crusader. It was a wonderful experience, and still makes me very proud. But to be honest, I was never unhappy working on other people's series. Something like The Slap or Underbelly (a true crime franchise that had a lot of success in Australia), they were not "my" shows but the spirit on those series was so collegial and collaborative, they never felt creatively second-best. What was the development process like for Requiem? Did the story change and evolve a lot? Were you working with a script editor and responding to notes? Yes, the story did evolve. But the core idea was always there. And that didn't change. The development process was a dream, because I loved working with the team at New Pictures. There are always notes, of course, from producers, networks, and script editors. But I felt that the notes I got on Requiem were intelligent, and respected my vision for the show. I was never asked to make it into something that it isn't. Did you always plan to set Requiem in Wales? 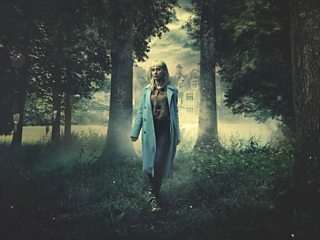 How did the locations inform the drama? I always intended that Requiem should be set somewhere removed from the urban mainstream. So I imagined locations that were far from London. Cornwall was a possibility, as I had friends there and had spent quite a bit of time there. Northern Scotland too. But then I visited Wales and fell in love with the place. North Wales had just the right combination of physical beauty, but also ruggedness. The power of nature was palpable there. So it was perfect. 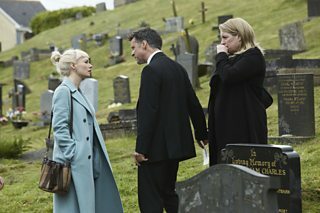 Are there any plans for a second series of Requiem? I always imagined this as a story in two parts, so if the planets align and it's possible for us to do a second series, I would very much like to. But there are so many things that have to fall into place first, I'd rather not even think about it. Finally, do you have any advice for other budding screenwriters, or has anyone given you any particularly useful writing advice which has stayed with you? The best advice I was'ever given was that film and TV are necessarily collaborative forms, so don't be afraid of what other people bring to the table, even if it differs from how you see your project. It's a tricky line to walk, because you also need to protect the integrity of your vision. But if you're too uncompromising about that, you run the risk of missing the incredible opportunities that other people's distinct points of view can offer.